Shawky Z.A. Badawy was recognized as a fellow of the International College of Surgeons in 1970 and the American College of Obstetricians and Gynecologists in 1976. SYRACUSE, NY, September 26, 2018 — Shawky Z.A. Badawy, MD, has been included in Marquis Who's Who. As in all Marquis Who's Who biographical volumes, individuals profiled are selected on the basis of current reference value. Factors such as position, noteworthy accomplishments, visibility, and prominence in a field are all taken into account during the selection process. With more than 45 years of experience to his credit, Dr. Badawy has worked at SUNY Upstate Medical University as a professor in the Department of Pathology since 1993, professor in the Department of Obstetrics and Gynecology since 1981, and director of the division of reproductive endocrinology since 1975. The chief of the Department of Obstetrics and Gynecology at Crouse Hospital from 1997 to 2011, he held the positions of chairman and director of the residency program for SUNY Upstate Medical University from 1998 to 2011. 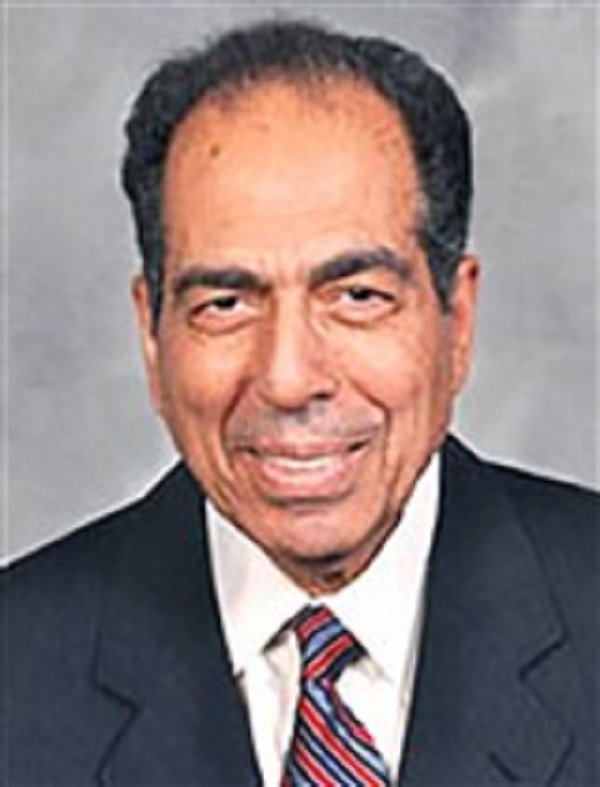 Previously, Dr. Badawy served SUNY Upstate Medical University as interim chairman of the residency program from 1997 to 1998, associate professor in the Department of Obstetrics and Gynecology from 1978 to 1981, assistant professor in the Department of Obstetrics and Gynecology from 1973 to 1978, and senior resident in obstetrics and gynecology from 1972 to 1973. Dr. Badawy began his career at Ain Shams University as an intern from 1959 to 1960, resident in obstetrics and gynecology from 1960 to 1962, clinical instructor for the Department of Obstetrics and Gynecology from 1963 to 1965, lecturer for the Department of Obstetrics and Gynecology from 1965 to 1971, and assistant professor for the Department of Obstetrics and Gynecology from 1971 to 1972. Before embarking on his professional path, Dr. Badawy pursued an education at Ain Shams University, earning a bachelor's degree in surgery in 1958. He continued his academic efforts with a Bachelor of Medicine in 1958, also at Ain Shams University. He concluded his studies at Ain Shams University in 1963, graduating with a master's degree in surgery. Following these accomplishments, Dr. Badawy enrolled in the Military Academy of Medicine from 1981 to 1982. Furthermore, Dr. Badawy has been licensed to practice medicine in both New York and Washington, D.C. In 1975, he became a diplomate of the American Board of Obstetrics and Gynecology, Inc. Four years later, Dr. Badawy once again earned certification from American Board of Obstetrics and Gynecology, Inc. with a focus on reproductive endocrinology. Beyond his responsibilities within the field, Dr. Badawy has participated in numerous endeavors outside of his professional circles. Since 1980, he has contributed to many committees, boards, and appointments for SUNY Upstate Medical University, including the quality assurance committee, the operating room committee, a number of search committees, and, most recently, the laser safety committee, among others. Dr. Badawy has also held the role of speaker in his industry. Dr. Badawy found success with his written works as well, having penned over 175 articles for esteemed medical journals. He has also served on the editorial boards for the Journal of Gynecology and Infertility since 2017, the Journal of Pediatric and Adolescent Gynecology since 2012, the Journal of Gynecologic Surgery since 2011, BioMed Research International and Applied Scientific Reports. Dr. Badawy has additionally authored 25 chapters to a number of books as well as 75 abstracts for publication. In addition to his primary vocation, Dr. Badawy remains affiliated with various organizations in relation to his areas of expertise. He has maintained involvement with the American Academy of Family Physicians, the North American Menopause Society, the American Society for Reproductive Medicine and the American Society of Immunology of Reproduction. He was also active as president and co-founder of the Fertility Society of Upstate New York. He has been associated with the Society of Adolescent and Pediatric Gynecology, the Society for the Study of Reproduction, the Society of Reproductive Surgeons, the Society for the Advancement of Contraception and the Society for Reproductive Endocrinology and Infertility. Dr. Badawy was a former member of the Fallopius International Society, the OB/GYN Associates of Central New York and the Association of Planned Parenthood Physicians. In light of his exceptional undertakings, Dr. Badawy has accrued several accolades throughout his impressive career. A recipient of multiple grants in his field, he has been presented with the National Scientific Merit Award from Egypt in 1959, the Berlex Award in 1990, the President's Award for Excellence in Faculty Service in 2001, and an Award from the Association of Professors of Gynecology and Obstetrics in 2002. In 2014, Dr. Badawy was inducted into the Leading Physicians of the World. Furthermore, Dr. Badawy was recognized as a fellow of the International College of Surgeons in 1970, the American College of Obstetricians and Gynecologists in 1976, the American College of Surgeons in 1977 and the Royal Society of Medicine from 1975 to 1992. He further garnered a postdoctoral fellowship in reproductive endocrinology and physiology from the Rockefeller University from 1968 to 1970 and a research fellow of the Department of Obstetrics and Gynecology at Ain Shams University from 1962 to 1963. Honored as a Distinguished Worldwide Humanitarian in 2018, Dr. Badawy was selected for inclusion in the 64th edition of Who's Who in America.